Date of publication: 17 2014 June . 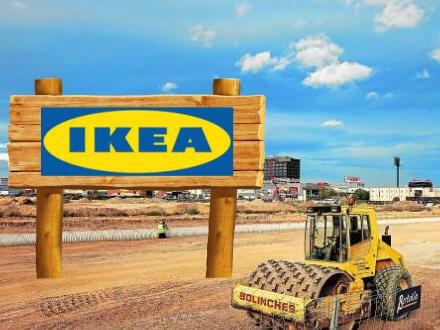 Today, 17 2014 year in June, the Spanish Valencia opened IKEA store. Geographically, the city of Valencia is located in the center of the bend Gulf of Valencia, which is bounded by two rivers with names Turia and Júcar. This is the first IKEA store in the autonomy, located in the shopping district of the village Alfafar. It was reported that on the first day 400 people enter the workforce, as well as another 40 will be released in the first working Sunday, if shop will still be working at weekends - this question has not yet been finally resolved. It is planned that the first year of the Swedish manufacturer in Valencia will be served 2,8 million consumers. The new store in Valencia will be the second largest in Spain and the first in terms of its modern equipment. In addition to the store in the new shopping center will be a new food court, a children's area, which will be carried out childcare and entertainment area for adults. Organized for visitors parking spaces 2500, where you can go in a two-storey exhibition space with Furnished and various household appliances. The total area of ​​the premises is 6700 sq.m. In the same building is huge, on 8000 sqm, building materials shop. "Zest" shopping center in Valencia - everything for garden and veranda. This is justified by the fact that the country has a favorable climate for such goods and home furnishings, these will be widely in demand by buyers. Again, the issue with the work on weekends discussed, as to carry out the activities should obtain permission from the municipality. At the moment it is known that the management IKEA has received a negative response and resolution store only work 10 holidays per year.